When I was young, my uncle taught me how to sing the sad songs he called 'Tear Jerkers'. These dated back to the times of Wilf Carter, Roy Acuff, the Carter Family and the likes. These days, folks don't record Tear Jerkers as they would be considered too depressing. What they were, however, was a reflection of the hard times that society faced. The last true Tear Jerker that I recall ever hearing was a Dolly Parton song called, 'Me and Little Andy'. 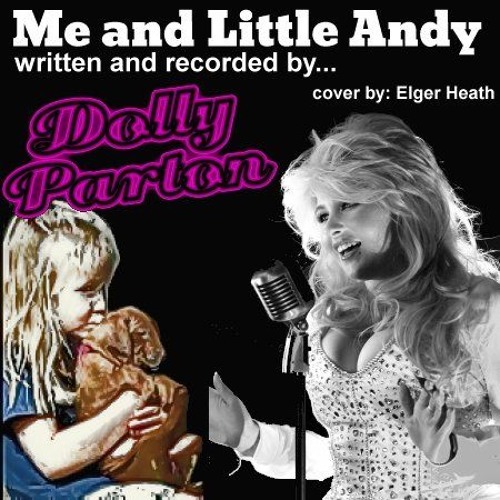 This was both written and recorded by Dolly Parton and released in 1977. It never made it big on the radio billboard, perhaps because Tear Jerkers had long since ceased being all the rage. When I heard it, however, I fell in love with it because I had developed a long time penance for this kind of music. Even if Tear Jerkers have lost their shine, the hard times they reflect haven't, altogether, ceased. For many folks life's trials are as great as they ever where. We've simply learned to look away from the suffering of others. These tunes were meant to cause us to face up to these facts. In that they are still valid today. Even if Tear Jerkers are not the rage anymore, it still pays to acquaint yourself with how to sing them well, because they teach you two major skills needed in the field of singing. ONE: How to put real emotion into a piece of music, and TWO: How to maintain conscious control over your emotions while singing so that your voice doesn't crack. In this cover, you can tell, from time to time, that it has been a while since I have sung Tear Jerkers, because I loose control of my vocal tones in some of the saddest parts of this cover. In the end, I just love this kind of music and so I decided today to record this piece and see how it turns out. I hope you will find this cover both unique and entertaining.